Bewildering winning the Speed Star. PIC: Sandown Greyhounds. The Bill Collins Memorial is named after a former chairman of the Victorian greyhound racing control board and is run and won over the 515m trip at Sandown Park. The 2016 edition was be held on Thursday May 5, 2016, and was run in the Speed Star format for the first time in the race’s history when won by Blazin’ Bomber. The Bill Collins Memorial always attracts a quality field to Sandown Park, even more so in 2016 with the race being run for the first time in the innovative Speed Star format. 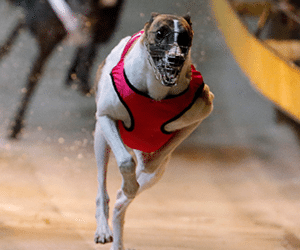 The Speed Star concept sees eight of the fastest greyhounds in the country going head to head, resulting in plenty of interest from spectators and punters. As with all feature events, fixed odds betting is available for the Bill Collins Memorial with all of our recommended online bookmakers, with markets generally opening in the days leading up to the race, once the field has been confirmed. There are no markets currently available for the 2018 event, but be sure to check this page in the lead-up to the feature to get some of the best odds and free bet offers. The Group 3 Bill Collins Memorial is a prestigious race on the greyhound racing calendar, named after the former race caller and chairman of the greyhound racing control board. Formerly run as a Listed event at Sandown Park, the 515m feature was elevated to group 3 status in 2015 when taken out by champion sprinter Fernando Bale. Since its early days the race has been open to the best eight greyhounds nominated. In 2016 the feature changed its format to the innovative Speed Star rapid fire racing, with four match races being conducted in quick succession with gaps of approximately 10 minutes in between races. Fernando Bale was a winner of the Bill Collins. Qualification for the race was based on the times a greyhound has run over the track and trip at Sandown Park between February 1 and May 1 of 2016, which also included a series of specific Speed Star trials on the three Sundays prior to the feature night, with the eight fastest nominated greyhounds making the final field. The Bill Collins Speed Star series carries a total prize money purse of $61,000, with the winner of each match event pocketing $10,000, with the fastest winner overall collecting an additional $15,000, with another $6,000 going to second. 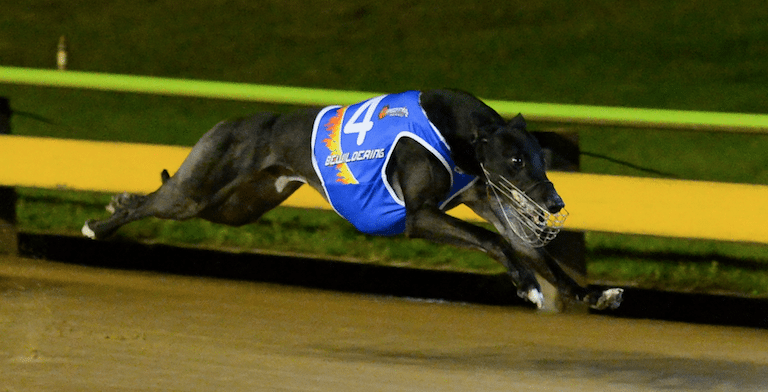 The new format was introduced for the Bill Collins Memorial following the success of the inaugural Speed Star series in September 2015 which was taken out by Smart Missile. As of 2016, the Speed Star will now be run twice a year, the Bill Collins Memorial Speed Star being the first to be run and won in early May. Bewildering was crowned the 2017 Group 3 Bill Collins Speed Star (515m) champion after recording a scintillating run at Sandown Park. Prepared by Seona Thompson, Bewildering went up against Princess Pout in the second match race but was far too good in the charge to the line – clocking a blistering 29.12 over the sprint trip. Second place went to Black Mumbo for Anthony Karabitsakos which defeated Flyrite in the third heat when sprinting clear in 25.25. Owner: See the Dream Synd, Trainer: Seona Thompson. Time: 29.119. Margins: 2 x 2.75. Others in finishing order: Black Mumbo, Aston Dee Bee, Eminent Reality, Nature’s Gent, Flyrite, Princess Pout, Riveting. Blazin’ Bomber was crowned the winner of the Bill Collins Speed Star in 2016, winning his match race in a flying 20.09 over Dundee Osprey. His time was by far the quickest of the four match races in the series, with the other three won by Outside Pass (29.25), Burn One Down (29.27) and Dalgetty (29.32). Read full review of the race here. Owner: Four Frothys Syn. Trainer: Darren Pattinson. Time: 29.09. Margins: 2.25 x 0.25. Flying machine Fernando Bale took out the final Bill Collins Memorial run in the traditional format, clocking a phenomenal 29.22. This was also the first year the event was elevated to group 3 status, with the white and brindle powerhouse pocketing $25,000 for his efforts. Owner: Paul Wheeler, Trainer: Andrea Dailly. Time: 29.22. Margins: 1.5 x 2.5. Others in finishing order: Lamia Bale, Weston East, Elfen Bale, Spring Leaf, Luca Neveelk, Dyna Villa, Usain I’m Nutty. 2014: Former top chaser Hooksy took out the 2014 Bill Collins Memorial for trainer Tanya Auld. The son of Hondo Black and Uno Witch defeated a quality field to collect top honours, the beaten brigade including the likes of My Bro Fabio and Cornelius Fudge. Others in finishing order: Bazza’s Gift, My Bro Fabio, Mepunga Melachi, Smart Maxwell, Buckle Up Mason, Cornelius Fudge. Former leading conditioner Graeme Bate collected the Bill Collins trophy in 2013 with the ultra consistent Full Advanced, with the son of Collision and Okay Supreme clocking a respectable 29.70 to win the event.